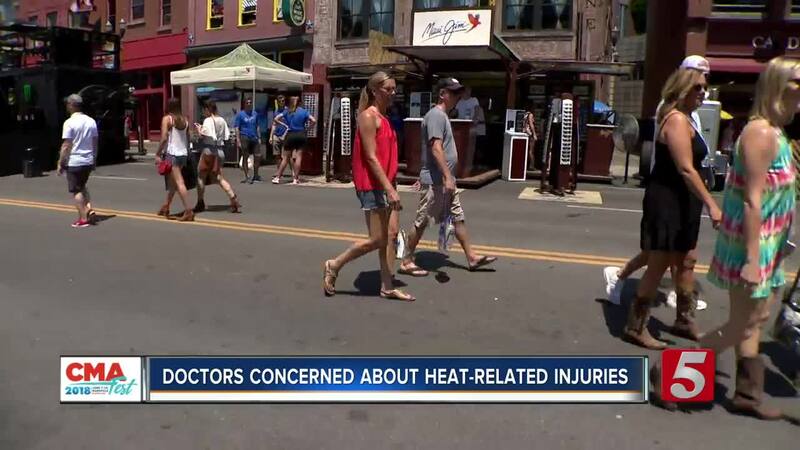 After several days of mild temperatures, the heat and humidity have returned just as the 2018 CMA Music Festival and Bonnaroo Music and Arts Festival get underway. 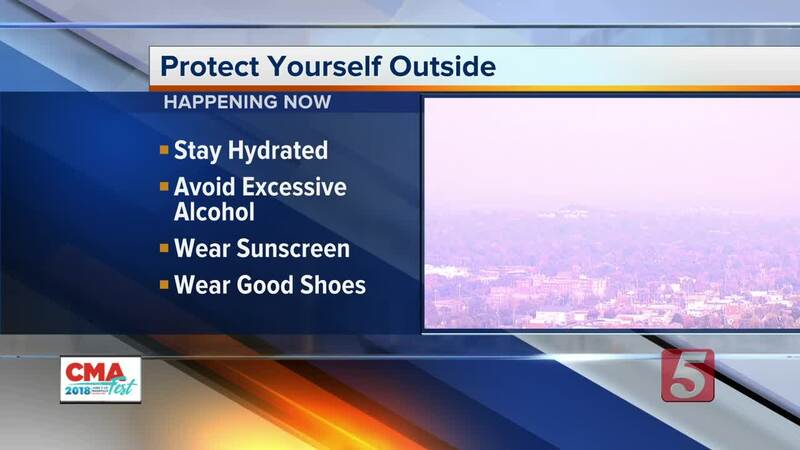 A Code Orange air quality alert has also been issued for Nashville – meaning people with breathing problems or asthma may want to stay inside or at the very least proceed with caution. Heat will be a factor all weekend for festival goers. If you’re spending time outside over the next few days, it's important to keep drinking water, even if you're not thirsty. Once you're thirsty, you're often already dehydrated. Drinking alcohol can also intensify some of those negative side effects from heat exhaustion and dehydration. If you start to feel light-headed or dizzy or get a headache, nausea or vomitting, make sure you find medical attention. Vanderbilt University Medical Center’s LifeFlight will have multiple first aid tents, cooling stations around CMA Fest and they'll have plenty of staff on site to help in case of an emergency.